A one-time monarchist and aide-de-camp to the Emperor, Franz Joseph, prior to the war and commander of the navy during it, Miklos Horthy was elected Regent, the head of state from 1920 to 1944. He was illiberal, intolerant of intellectuals – he encouraged the denouncements of professors and teachers – and a pre-Nazi anti-Semite, who allied Hungary with Germany in the hope of reclaiming the lost 1920 territory, and he was largely successful (only to lose it in the post-war settlement), but at a high price. Horthy was compelled by Hitler to declare war on the Soviet Union and deport Jews. He reluctantly complied by dispatching Jews to work camps until he realized the fate of the deported, given the distinction he made between revolutionary Jews and those who made valuable contributions to Hungarian society and his opposition to the killing of innocent people. 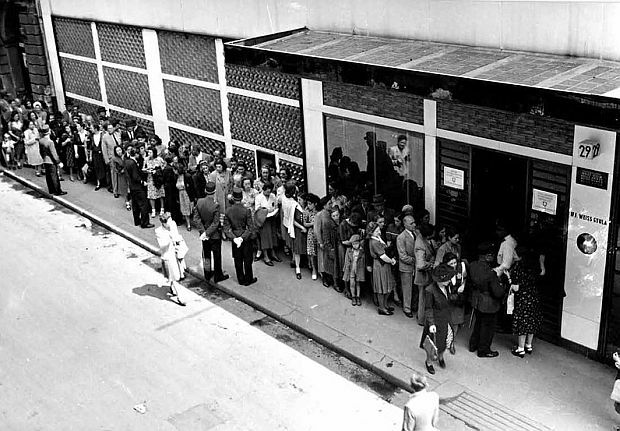 By June 1944 following the mass deportation of Jews from the provinces, Horthy resisted any further deportations of Budapest Jews because of growing international pressure. He threatened to cancel the alliance with Nazi Germany. To pre-empt further opposition, the Germans invaded and replaced him with the murderous Arrow Cross Party which carried out a reign of terror that claimed the lives of 50,000 Jews. That included shooting them on the embankment of the Danube or handcuffing them together in threes and killing one that pulled the others down. When we walked along the Danube Promenade, we saw sixty pairs of shoes, a memorial established in 2005 to those who were killed. I was reminded of the 1990 Costa-Gavras film, Music Box, in which a Chicago Attorney played by Jessica Lange, who is defending her father against deportation, visits Budapest and looks out on the Danube wondering whether he could have been an Arrow Cross killer. One of the tour’s highlights was discovering the career of Carl Lutz who was credited with saving 62,000 Jewish lives. Our guide briefly spoke of the Swedish diplomat, Raoul Wallenberg, well-known she rightly said because he was captured by the Soviets after the war and never seen again, a disappearance that has fueled speculation about his fate for years. She had read a recent report (and I confirmed it afterwards) that the granddaughter of the first KGB chairman revealed that he had written in his diary, hidden in his house wall for years, that Wallenberg was murdered in 1947 on orders from Stalin. She spent much more time on the Swiss diplomat, Lutz, who had no qualms about extending letters of protection to Budapest Jews and finding safe houses for them. Moreover, because Lutz represented British interests in Hungary, he was able to issue group certificates that enabled 50,000 Jews to go to Palestine. But our guide’s primary focus was on Lutz providing sanctuary in the Glass House. Despite overcrowding and unsanitary conditions, almost everyone in the House survived the war. When Lutz returned home after the war, he was reprimanded for exceeding his authority. The Swiss government belatedly honoured his humanitarian contribution, but only after his death in 1975. Perhaps a film will be made about this remarkably courageous man. The tour also was peppered with personal and political commentary arising from a spate of questions. Our guide made it clear that she was here today because her father lived in Budapest and was useful to the Germans because he could speak fluent German. When the opportunity arose, he escaped. She also acknowledged her despair about the current state of affairs in Hungary. She noted that the current President of Hungary, Janos Ader, awarded an Order of Merit to a prominent anti-Semitic journalist, a friend to the autocratic Prime Minister, Viktor Orban. Although she did not mention it, I was encouraged in reading later that other recipients returned their awards as an expression of protest. We discussed the Orban government’s unwillingness to assist Syrian refugees and his conservative populism to exploit fears of immigrants. I was reminded of that lively exchange reading news reports of the results of the recent referendum that Orban staged to demonstrate his belief that Hungarians would not be bound by a European Union requirement to accept its share of refugees 1,294 asylum seekers in order to relieve the burden on Greece and Turkey. The only positive response from this manipulative farce was that less than fifty percent of the population participated in this sham (98 percent voted no to the loaded question) rendering the process constitutionally null and void. When I reflect on the trip, that morning was not only stimulating and moving but our guide demonstrated how the burdens of the past shadow the present. Her presentation was filtered through her family’s experience but it was placed in a larger historical context that is easily verifiable. When we arrived at Bratislava, Slovakia, a guest lecturer provided a talk billed as “The Velvet Revolution.” I was interested in this topic because of my interest in Vaclav Havel, someone whom I have long regarded as one the great figures of the late twentieth century, an individual who played a key role in the death of communism and a shining symbol of the country’s finest aspirations. The speaker provided a polished overview of the birth of the union of the Czech and Slovak peoples to the present. Disappointingly, Havel was barely mentioned; Alexander Dubcek, the iconic symbol of the 1968 Prague Spring, was given a higher profile, I think largely because Dubcek was a Slovakian, and we were hearing this talk in Bratislava not in Prague. That the lecturer almost airbrushed Havel out of her talk may have been deliberate: she did not want to alienate a North American audience who recognize that Havel has largely been esteemed in the West. Yet from her historical arc, I learned about the 1918 Declaration of Pittsburgh in which Czech and Slovak expatriates agreed to create a country with equality between Czechs and Slovaks. The primary author of the agreement was Thomas Masaryk, who a month later was the elected president of the new state of Czechoslovakia. The subtext of her talk was that the initial promise of the original agreement was not fulfilled and disillusionment for the Slovaks could be traced to the Velvet Revolution and to Havel himself, but none of this was explicitly said. Had she framed her presentation around this thesis, it might have been unsettling but fascinating. In his biography, Vaclav Havel: A Political Tragedy in Six Acts (Bloomsbury 1999), John Keane argues that Havel developed a reputation for acting without consultation with the Slovaks. For example, he announced that Czechoslovakia would no longer be in the armaments industry. It may have been a fine ethical principle but that industry was located in Slovak territory and a shutdown would have a devastating effect on the local economy. Our speaker underlined the consequences of the closures that resulted in 30-percent unemployment, but she did not frame her material into an argument the way that Keane formulates in his biography. He argues that Havel was dismissive of the Slovaks, made no effort to work with them and after being appointed President, he snubbed them by visiting Berlin and Munich in Germany rather than Bratislava. On later trips to Israel and Washington, he only included a few token Slovakians in his large entourage, evidence, according to the Slovakians, of his cavalier disregard for them as a people and their grievances. 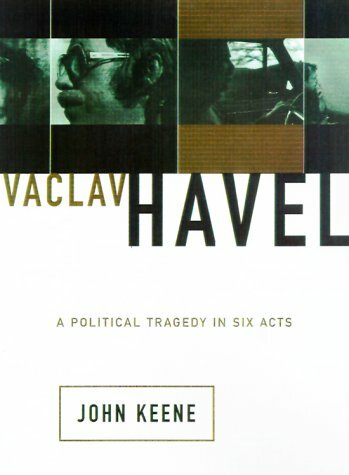 Moreover, Keane suggests that Havel reinforced pejorative stereotypes about the Slovaks: they had a weak democratic tradition, were less educated and cosmopolitan than the Czechs and an ‘economic burden’ to the rest of the country. No wonder that our speaker incorporated into her talk the Slovak desire for more decentralization, but it is presented as a piece of factual data rather than as evidence of the Slovaks' response to Havel’s disdain for her ethnic community. She was right that the velvet divorce between the Czech Republic and Slovakia in 1992 was negotiated by the political elites and the vast majority of both Czechs and Slovaks were opposed to it. But she failed to mention the irony that Havel was not only opposed to the separation but shocked by it. If anything, the breakup of Czechoslovakia was evidence of his failure both to massage the Slovakians for three years and a testament of his poor negotiating skills. A few days later when we were on a tour of Prague, our Czech guide was careful about what she said about Havel. According to her, as a dissident dramatist, he was not that widely known by the Czech people. 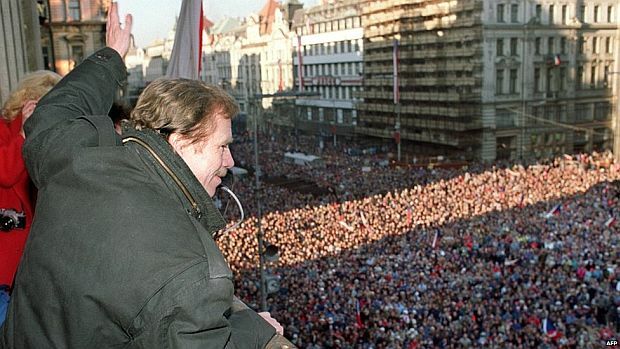 The unstated suggestion was that Havel was not highly respected, but she did acknowledge that Czechs took pride in his being celebrated in the West which raised her country’s profile on the international scene. Based on my later reading, most people both Czechs and especially Slovaks wanted Dubcek, the symbol of the Prague Spring and much more widely known, to be president of Czechoslovakia. What few people may not know is that Havel and Dubcek made an agreement that they would rotate the presidency: Havel would serve a term followed by Dubcek. Tragically in 1992, Dubcek died in a car accident, one that fueled speculation that he was murdered, a conspiracy theory the Slovak Interior Ministry investigated and offered what appears to be irrefutable evidence that Dubcek's death was indeed accidental. Its findings did not deter the online conspiracy theories. Some of us can attest to Czech tour guides indulging in similar bizarre fantasies about Havel, including the preposterous claim that Havel’s family built its fortune on the backs of persecuted Jews during the war. It would be easy to dismiss these far-fetched notions, but they do attest to the belief that some Czechs are far less enamoured by Havel than North Americans who generally believe that he was a courageous, decent, good-humoured writer and public official who had gone to prison for his beliefs and had moved the country forward toward a democratic, pluralistic society. In Vienna, we heard again an overview of history from the Romans to the present that was billed as “Timeless Vienna.” Two impressions stand out. Twice, once in the sixteenth century and again in 1683, the Ottomans tried and failed to seize Vienna – leaving behind their coffee beans. 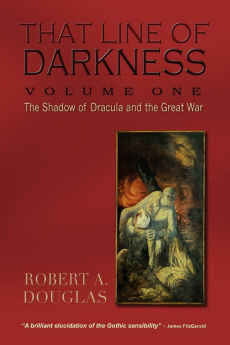 The second date is significant because it marked the end of the Turkish advance westward, the beginning of its decline along the Danube and the birth of an early form of nationalism, a phenomenon the Bulgarian lecturer had earlier commented upon. Although never stated, I continued to wonder whether the years of Ottoman rule impinge if only subliminally on the minds of people today in terms of their attitudes toward Muslims. 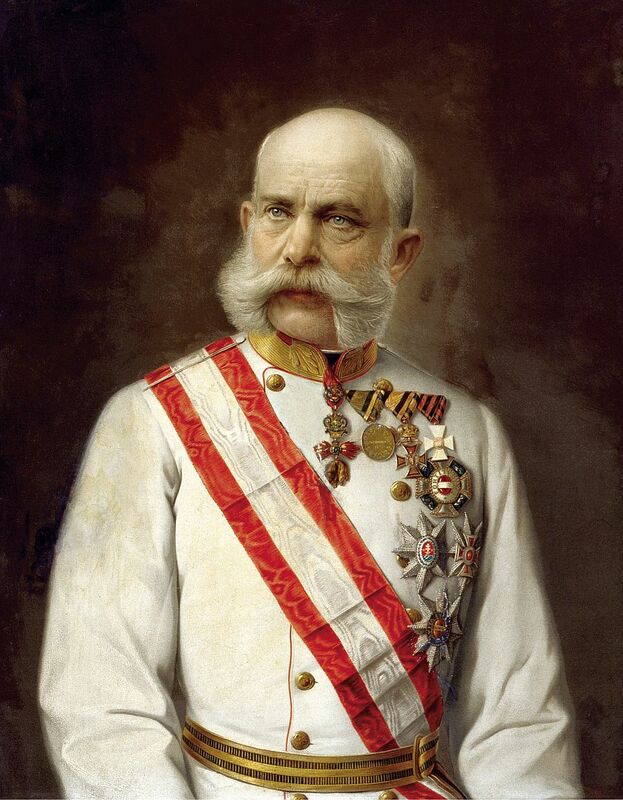 Portrait of Emperor Franz Joseph (from 1910). Secondly, much credit was given, not only in Vienna but at other ports, to the progressive rule of the Hapsburgs, particularly that of Maria Teresa, her son Joseph, and a century later the sixty-eight-year rule of Franz Joseph. If anything, their accomplishments demonstrate that political power can be exercised in a manner that improve the lives of people they ruled and that sometimes lives were better in the past than for most of the twentieth century in Central Europe. Over the course of the cruise no speaker or guide uttered Franz Joseph’s famous statement when he conferred equal rights upon the Jews, “I will not tolerate Jew-baiting in my Empire.” The Emperor’s courageous words did not prevent “Jew-baiting” from occurring, but it is inconceivable that such a statement would have been uttered by any Austrian politician after World War One. Indeed, Austria, like Hungary after the Great War, was forced to relinquish a substantial amount of territory, and that legacy was to foster resentment and encourage union with Germany in 1938. Again like Hungary, Austrians sought out scapegoats and the intensity of its anti-Semitism was much more visceral than that in Germany. Nothing was said about the Austrian descent into barbarity after it became part of the Third Reich. Our last location on the boat was the pretty medieval town of Passau in Germany. Our guide was especially interested in Roman archaeology and early Bavarian history. I had no problem with his passions but I was interested in asking him whether he had seen the 1990 German film, The Nasty Girl, which dramatizes the young life of Anna Rosmus who became passionately engaged in investigating how her town responded to Nazi aggression during the war. Her findings alienated her community and she was forced to decamp to America where she continued her studies. 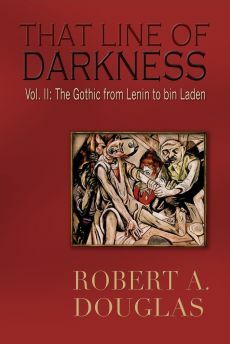 He was familiar with the film and Rosmus, and was clearly uncomfortable about talking about both, especially the later career of Rosmus, whom he felt diminished Passau turning the town into the epicenter of Nazism. He briefly alluded to the film with the group and acknowledged the importance of remembering history and its contemporary legacy on the issue of accepting refugees, but his words were more pro forma than sentiments of conviction. Initially, this surprised me, given the contrasting attitudes I had heard in Berlin the previous year. On reflection, his timidity or lack of forthrightness may have been reflection of the conservative Bavarian culture. Finally, I need to reiterate that this trip was a most meaningful experience for me. My criticisms are primarily based on my conviction that presentations should be based on a central argument and not a collection of data, albeit often interesting material. Given that this trip was a study trip that consisted of alumni from different North American universities, why not challenge the participants? At best, it would have the potential for stimulating provocative conversations.